Calling all short film makers! Submit your original short film to Finger Lakes TV and qualify to win a $50 gift card. 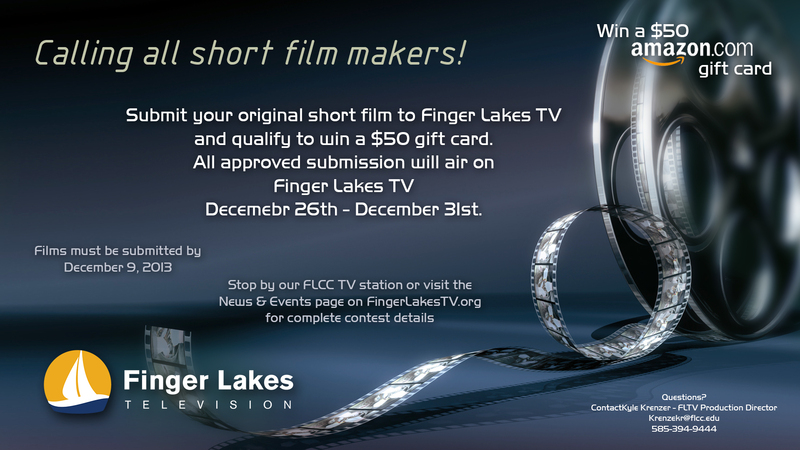 All approved submissions will air on Finger Lakes TV December 26th – December 31st. Top total score will win the contest. Each submitted production will be judged by three community judges each using a 20 point scale. submission must be a DVD with 4×3 formating. The means letter box your widescreen productions. 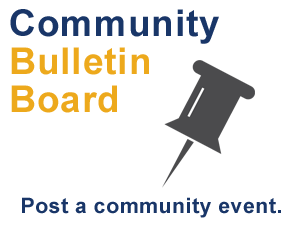 This contest is open to all who work, study, live, and/or just do life in the Finger Lakes region of New York state. Limit 2 productions per producer. All productions must be submitted to Finger Lakes TV by December 9, 2013. Each producer must fill out a Finger Lakes TV submission form. December 26 – December 31, 2013. Each producer will be notified by FLTV of their broadcast slot(s). If a production contains copyrighted materials (music or video clips for example) the producer is responsible for securing the licensing rights and providing copies to FLTV at time of submission.